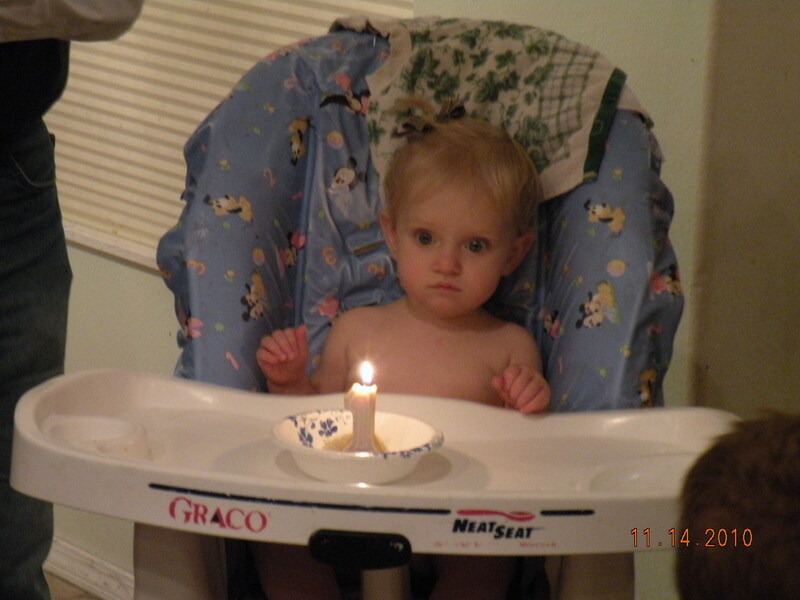 I know, Gabrielle turned one a month ago. I am behind. She briefly enjoyed her birthday. She was sick that whole week with pharyngitis, poor girl. We celebrated again with family at the end of the week. She was better then. Time has gone by so fast since she was born. I love having Gabrielle as my baby. She is such a good baby. She is perfect in every way. I wish I could always have a baby like her to hold. It is very bittersweet to see them grow. She hasn't started walking yet. I know I haven't made any effort to teach her walking. It is partly selfish, I am not ready. I don't want her getting into more things. She is already quite the climber, more than the other girls were. Several times I have found her in the top rack of the dishwasher. She also loves to go into the bathroom. She loves to take baths. She likes it when people get on the floor to play with her. She loves her Grandma's dog, Allie. She hates getting her clothes changed. She doesn't like getting left behind or if I just go in the other room.